Katrice Lee was born on 28 November 1979, in BMH (British Military Hospital) Rinteln in West Germany, and spent the first two years of her life in Paderborn. 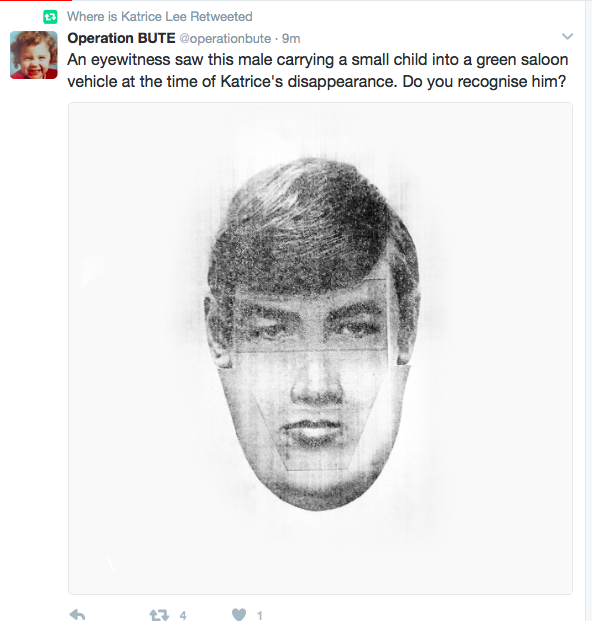 Katrice Lee disappeared from a NAAFI shopping complex in Schloß Neuhaus, Paderborn in West Germany on 28 November 1981, the day of her second birthday. The family was at the time living in British Army quarters in Schloß Neuhaus. 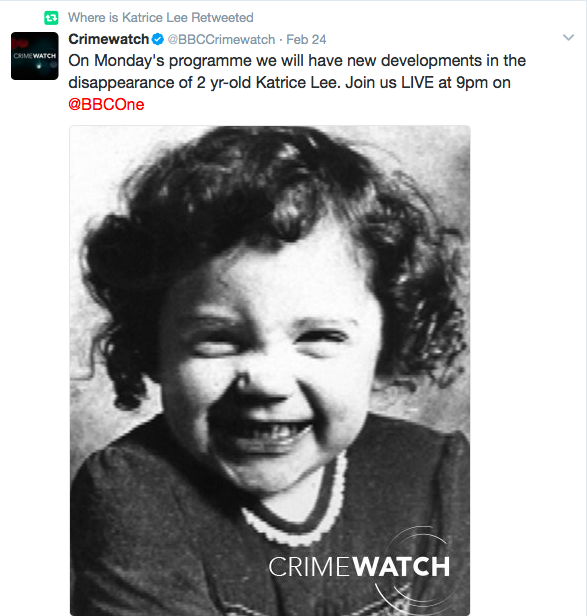 It would truly be a miracle if anything comes of the Crimewatch programme after all this time, but let's hope there is indeed a breakthrough. He reminds me a bit of Alex Baldwin.